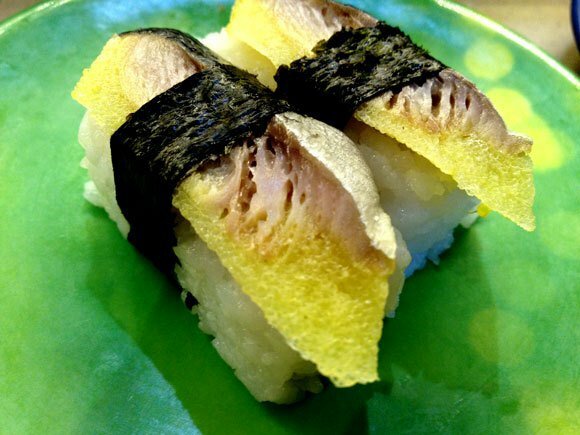 How adventurous are you willing to be with sushi? So much so I have it on my phone! And then, what for dessert? 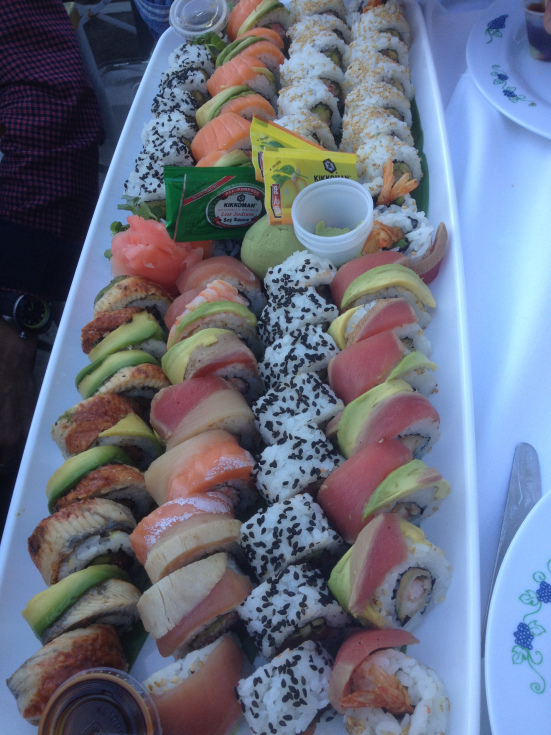 How about more sushi? Yes, even these taste masters can get a bit, shall we say, CARRIED AWAY? Cue The Cola, The Caramel And The Corn Too! 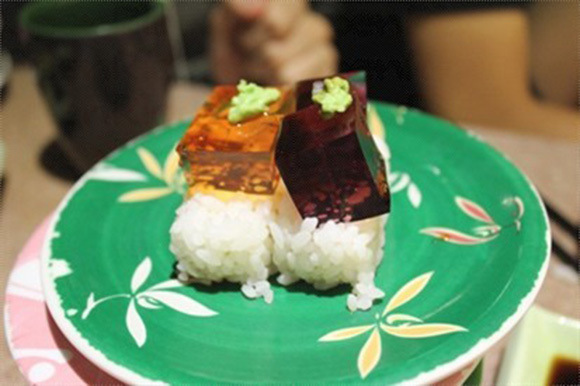 How about some “cola jelly sushi?” Yes, take a close look – that is cola sushi!